They say it’s a man’s world. But, if the Lodi wine industry is any indication of workforce trends, women of the world are poised for success! Our AVA has a rich and storied history of multi-generational businesses, and the women filling our pages are keeping a family tradition alive. 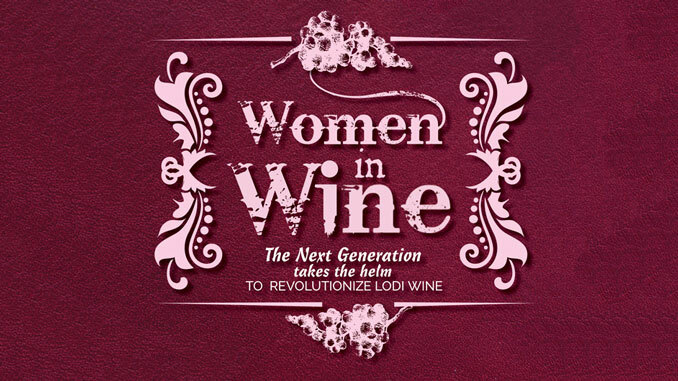 They are carrying the torch, forging ahead, and taking the helm as the next generation of leading women in Lodi wine. 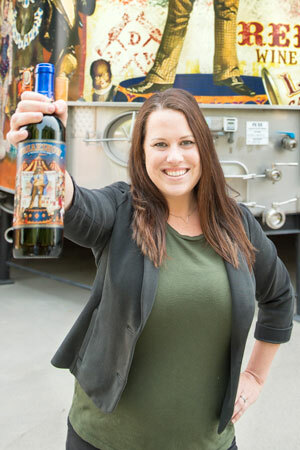 As the sixth generation to take the helm, Farrah Felten Jolley oversees wine sales for Klinker Brick, one of Lodi’s most accomplished and awarded wineries. She travels the world, from Germany to China, sharing their family story and pouring their wine. But, she is quick to point out that working for a family business also means being prepared to help wherever and whenever you are needed. Her work keeps her on her toes. This growth applies not only to her family business, but to the land where their roots are planted. 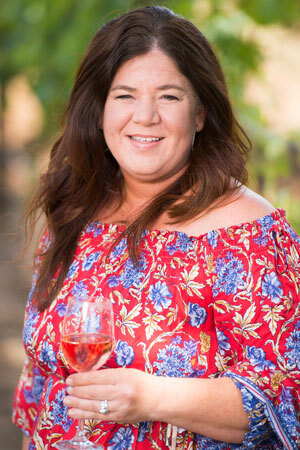 In love with Lodi, Farrah is a member of the California Wine Education Foundation and works to promote Lodi Wine through her involvement in ZinFest and Wine and Chocolate weekend. What is a valuable lesson you’ve learned from the previous generation in your family business? I’ve learned to be passionate about what you decide to do in life. When I decided to come into the family business, I felt deep down that this was what I wanted to do. It’s in my blood! Definitely promoting my family’s wines around the world. One of the greatest things is having someone come up and tell you how much they love your product. Kendra Lange Altnow has a rich history of farming flowing through her veins. Nearly 150 years ago her family planted roots in Lodi—both figuratively and literally. And in 2006, the Lange’s expanded their property to house a large-scale winery that prompted the next generation to return home to the family farm where they grew up. As the fifth-generation to work for the family business, Kendra plays a pivotal role at LangeTwins Family Winery and Vineyards. She holds the reins as the winery’s Marketing Manager, handling the creation of hospitality and wholesale marketing materials. It’s an often-overlooked aspect of a family business, but it’s a vital role. Making great wine is a craft; selling the wine is an entirely different beast. It takes a talented marketing team to create a story that not only sells but resonates. 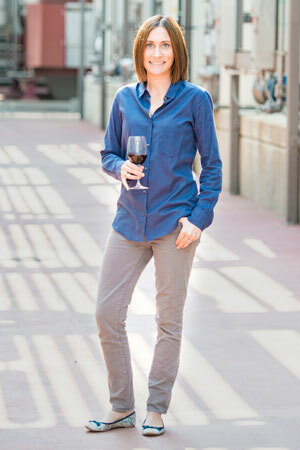 Taste testing some of Lodi’s best wines certainly sounds more appealing than sitting in front of a computer all day—but Kendra’s time spent implementing and managing a behind-the-scenes platform that supports LangeTwins’ sales team is one of her greatest accomplishments. “It helped to streamline the winery’s efficiency on fulfilling requests,” Kendra adds. And as the requests continue to flow, Kenda and Langetwins continue to grow! What makes the Lodi Wine region unique? There is a passion that permeates the Lodi region-from the farmers that carry the proud connection to the land, to the families, winemakers and all those involved in telling a brand’s story. The brands are authentic. The people are rooted. The wines are truthful. What is an important lesson you have learned from the previous generation in your family business? There are no shortcuts. Do the job right. Take your time to think things through to make good decisions and be prepared. I use this advice in making decisions both large and small. Kim Ledbetter Bronson knows a thing or two about taking the helm of a multi-generational family business. As the Chief Financial Officer for Vino Farms, Kim bears the weight of her family’s farming operation every single day, overseeing all financial and legal activities for the business that farms over 17,000 acres of wine grapes throughout California. And while Kim is leading the pack at Vino Farms, she also plays a pivotal role in the wine grape growing industry. She proudly served as the first female and first second-generation Chair for the California Association of Winegrape Growers. After serving 17 years on almost two dozen industry organization as a board member, Kim shifted her focus from industry organizations to serve on community boards that directly impact her two sons. Our core family values of hard work, integrity, innovation, vision, and the importance of leadership. What makes Lodi Wine or the Lodi Wine region unique? The willingness to share information between growers and the small-town feel of family owned wineries. If you know anything about Lodi Wine, you know the Mettler Family has been farming wine grapes since 1899. As the fifth generation to carry on her family’s tradition, Kim Mettler Eells knows she isn’t just building a life for herself, but a lasting legacy for generations to come. 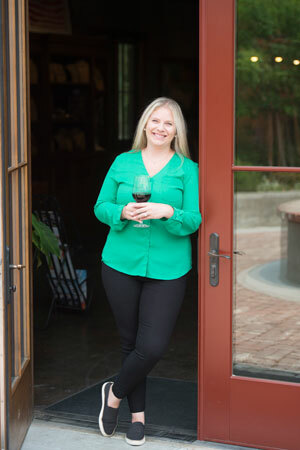 After earning a Master’s Degree in counseling psychology from the University of the Pacific in 2000, Kim’s family decided to diversify the business and launched their wine brand, Mettler Family Vineyards. That one decision completely changed the course of her career. As the Vineyard’s General Manager, she jokes that her role is “generally” anything from human resources to label design, event coordination, and everything in between. 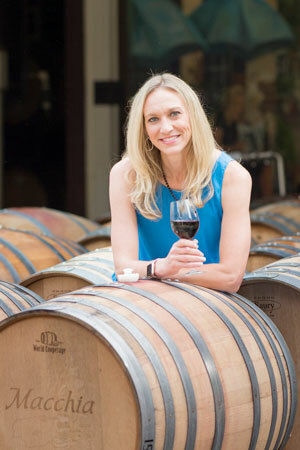 She handles the wineries national sales and focuses on increasing exposure in the export market. 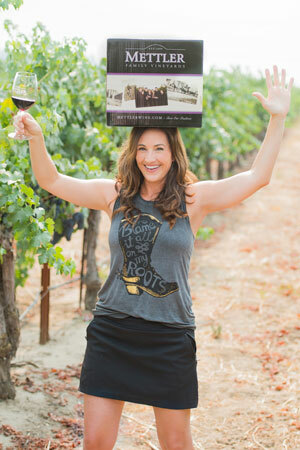 But, the woman wearing many hats doesn’t stop there—as a part of the California Wine Institute and the Lodi Winegrape Commission’s Marketing Committee, Kim is deeply devoted to the industry and the region that makes it all possible. “It gives me great joy to be able to offer a quality product and continue to spread the message of the Lodi Wine Region,” Kim says. Her most significant accomplishment since taking the helm? The completion of their tasting room. “At the time my youngest daughter was only three years old and always on the job site,” Kim shares. Reflecting on that time in her life—juggling an expansion project, wine brand, and motherhood—she realizes that, with a deep breath and a glass of wine, all things are possible! What is a valuable lesson you have learned from the previous generation within your family business? Growing up in a farming family, I learned to have a strong work ethic. No task can be above you. As a mother, with daughters growing up in the business, it’s so important to me that they know how to work. The “princess mentality” doesn’t go over well in our house. The Lodi Wine Region has so many diverse varietals. People come for the Old Vine Zinfandels of Lodi, but once they visit, they can experience Lodi’s other unique varietals. At Mettler Family Vineyards we grow Aglianico, Pinotage, and Albarino, and these wines are available for visitors to enjoy. Oh! And did I mention Lodi has the best farmers around? Great wines come from well-farmed vineyards, and Lodi has some of the best! 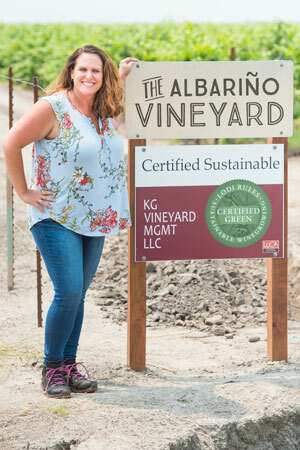 Madelyn is the Sustainability Director for KG Vineyard Management, where she certifies roughly 1,500 acres with the Lodi Rules Program for Sustainability. She also assists other growers and clients in the region as they work through the certification process. It’s a job that requires meticulous detail and a passion for preserving the land. Her greatest feat to date was just this past April when the company was awarded the Green Medal Award for Community. It was a huge accomplishment for the business and one that celebrates KG’s efforts to honor their legacy of generational farming and authentic business practices. Our sub AVAs differ drastically across the region and produce unique world class wines! I love how committed our farming families are to their craft…we have an amazing product and stories to share! Not my work chair. Not the constant car washes. Not the complaints about the water at work. But, seriously…. I love working with a great team of smart and dedicated people. I love being a farmer! Growing exceptional wine grapes that produce award-winning wines gives me a great sense of pride. When Melissa Phillips Stroud isn’t travelling the world sharing her family’s wine, she’s creating and executing their next dynamite campaign. Does Michael David Winery ring a bell? If you answered yes (and we’re sure you did), chances are the strategies of this VP of Sales and Marketing have caught your attention. The daughter of Michael Phillips—one of the founding fathers of the hugely successful winery—is a driving force behind the brand: Developing, overseeing, and implementing marketing strategies that continue to nationally solidify Michael David as a top-notch winery. Melissa graduated Cal Poly with a double degree in Ag Business and Wine and Viticulture before heading to Sonoma State for her Certificate of Wine Business, and today she shares her passion for both education and the wine industry through her involvement in UC Davis’ Extended Education Program. Locally, Melissa served on the Visit Lodi! board promoting tourism and currently sits on the board for the Lodi Grape Festival. Outside of the wine industry, she is on both the Lodi Memorial Adventist Hospital Foundation and the board of the LOEL Senior Center. Her greatest accomplishment? The launch of the Freakshow campaign. “It was a significant effort with the rest of my family,” Melissa humbly credits. “But, it was the first large brand that I was a part of from the beginning, from launch and execution, to branding and pricing, to distributor kick-offs.” Today, Freakshow is climbing the charts, soon to become Michael David’s top-seller. What is an important lesson you have learned from the previous generation? Dream big and dedicate yourself to that vision. I’m inspired by some of the risks they’ve taken over the years, but they stay true to themselves and keep striving for more. My father and uncle are two of the most generous people I know, and they have instilled in me to always give back to others and to our community! Lodi is unique because we all work together and are unified! We are one of the only regions whose grape growers actively work with the wineries under the same umbrella to promote the region for everyone (through the Lodi Wine Grape Commission). The message is Lodi! When Tanya MacMahon’s mom and stepdad founded Macchia in 2001, it opened doors of opportunity, interest, and ultimately passion. And as the winery grew in popularity, a time came for the next generation to step up. In 2006 Tanya joined the team to head their ever-popular and growing wine club that features not only member perks and discounts, but a slew of creative and entertaining social events. Since she’s taken charge, Macchia has solidified their status as the ‘Best Wine Club’ for three years running in San Joaquin Magazine’s annual reader’s choice awards. Tanya is also responsible for all social media and tasting room personnel while assisting in the marketing and wine tasting events Macchia attends. One of the most significant challenges is dealing with the daunting world of out-of-state sales and compliance, and of course, balancing it all as a mother to twins. But, it’s the dynamic nature of the wine business that continues to draw Tanya in: The work is fast-paced, ever-changing, and there is always something new to learn. But more than anything, Tanya focuses on providing an experience that leaves a lasting impression on each person who steps foot into their picturesque winery. Lodi is the largest wine grape growing region in California. For so long, Lodi growers were selling their fruit to wineries in Napa and Sonoma, and not getting much credit. Lodi is a hidden jewel that is finally getting the recognition it deserves. As leaders in the industry, do you have any advice for other women wanting to get into the business? Be ready to work! This job calls for long hours and hard work at times. In the end, it is ultimately worth it. The wine I miss most since moving to NC..